Thredbo Blues Festival 2013 took place over three days and nights on a weekend at the end of January. This is Andy Cowan on keys. 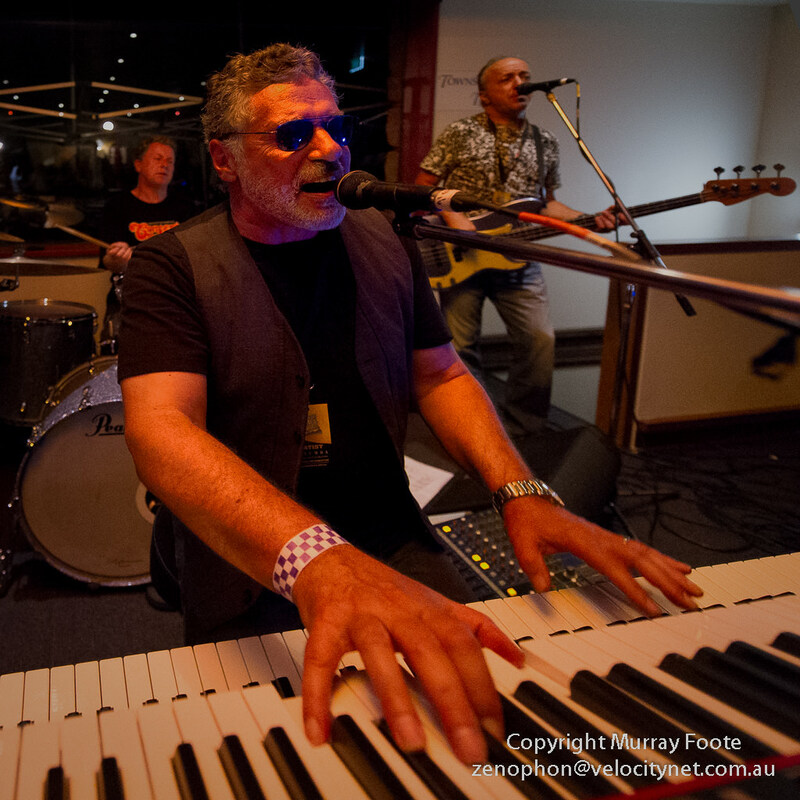 Andy and his band have been regular visitors to Thredbo Festivals and have always been a delight. He told me that he was about to retire to pursue other interests and that this might be the last performance for the band, which has been together for ten years. Andy has a distinctive piano playing style and singing voice. In earlier decades he was prominent in bands such as Ayer’s Rock. His band includes Gavan Anderson (lead guitar) and Jimmy Sloggett (Saxaphone), both also distinguished musicians. Andy Cowan’s website. A single song on MySpace. Bridie King plays Blues and Boogie piano and appeared in Thredbo with a great band. 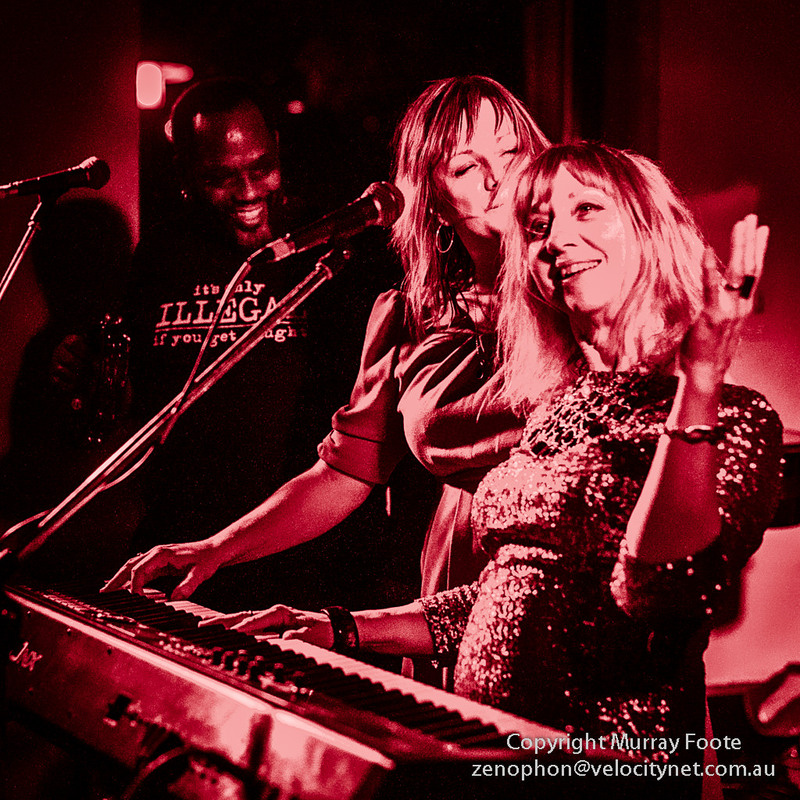 Bridie started her career with Balmain (Sydney) Rhythm & Blues band the Hippos and there is more than a hint of the Hippos in this lineup with Hippos band leader John Power on bass and Lez Karski on lead guitar. There is also Rosscoe Clark on drums and another female band member (flute, piano) whose name I don’t know, as well as Pat Powell (vocals, percussion) and Alison Penney (piano) on some numbers. Continental Blues Party is another great swinging band – Soul, Funk and Blues. Band leader is Robert Susz (formerly of the Dynamic Hepnotics and the Mighty Reapers) and on the right we see Illya Szwec as lead guitarist. Pat Powell (vocals) also appeared for some numbers. Music on MySpace (one track), Robert Susz on MySpace. 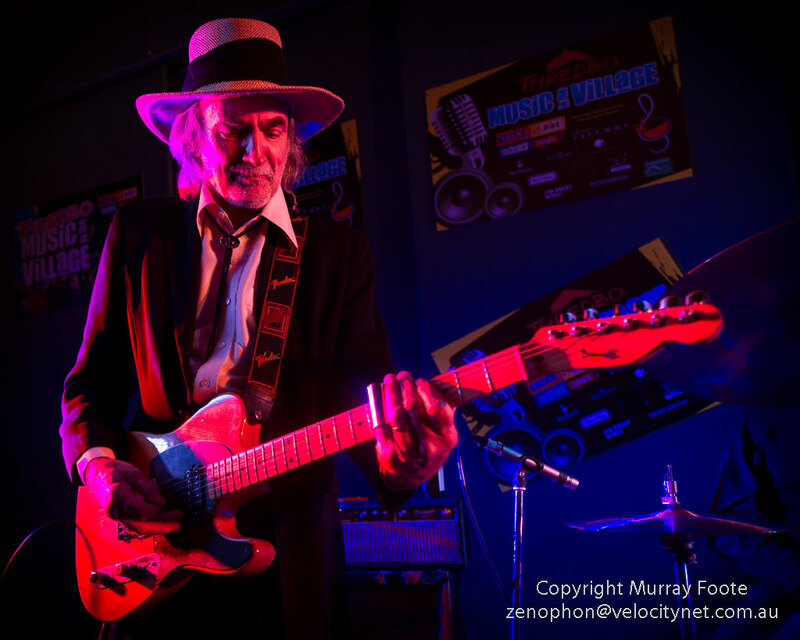 Dr Don’s Double Dose is a two-man Rhythm & Blues band inspired by musicians such as Fats Domino. 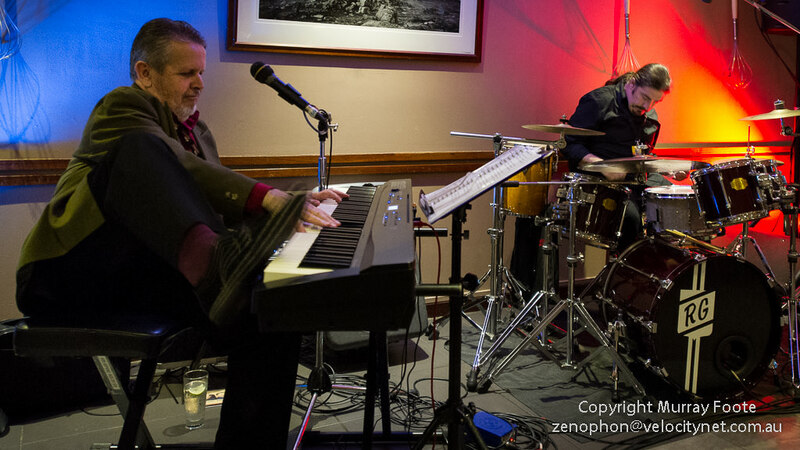 Don Hopkins plays piano (and not just with his hands it seems) and Rob Grosser plays drums. Always dependable for a great performance. The Cyril B Bunter Band really hit the spot at the Festival, despite not having performed for nearly thirty years. They are a band from the 70s and 80s and George Thorogood took one of their tracks as the feature track for his 1985 album “Boogie People“. Here we see Gary Lothian on lead guitar. 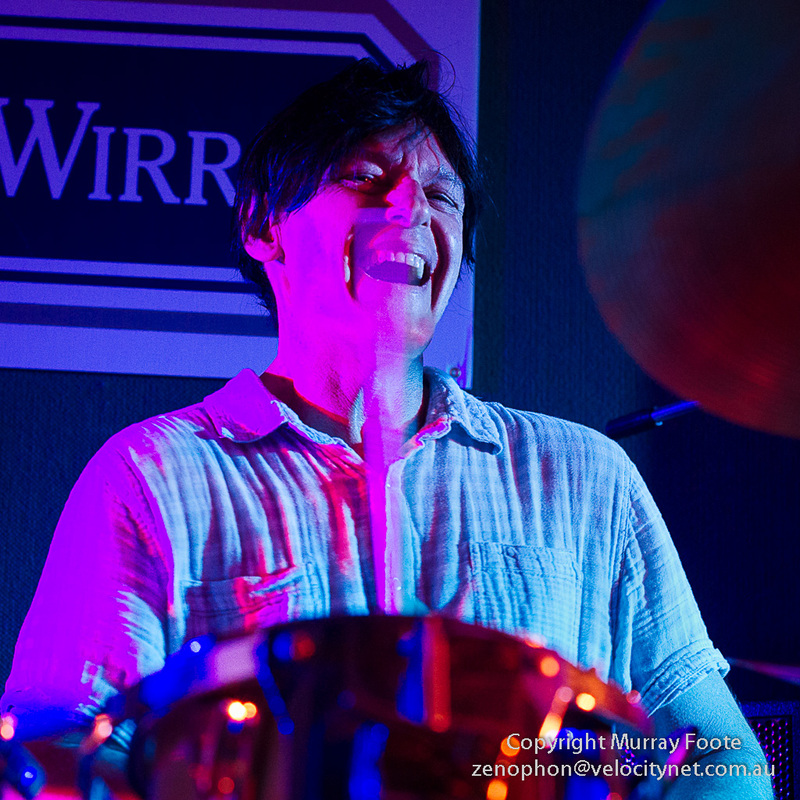 There was also Jimmy Bee (bass and vocals), Rosscoe Clark on drums and Alison Penney on Keyboards. 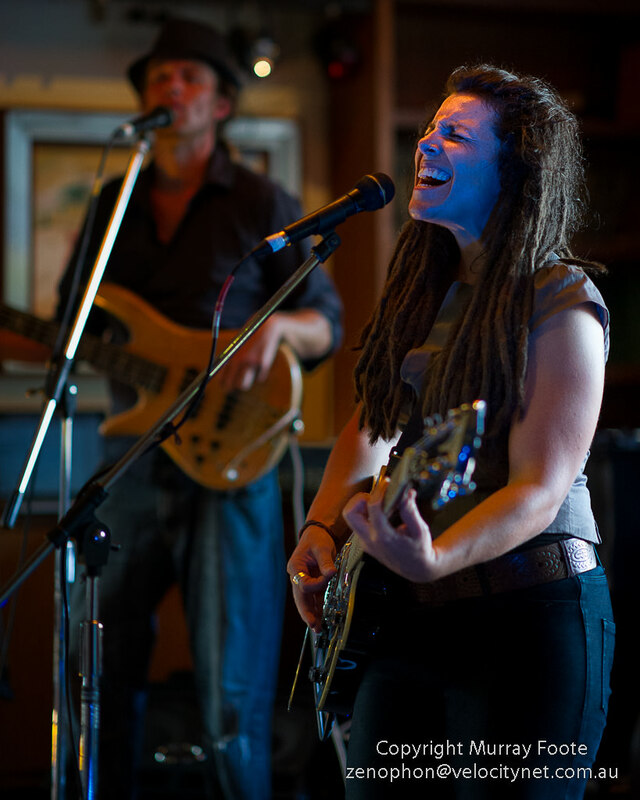 Faye Blais is a Canadian musician with a “jazzy-bluesy folk style”, playing in the Festival accompanied by two Australian musicians. Web site; music on MySpace. 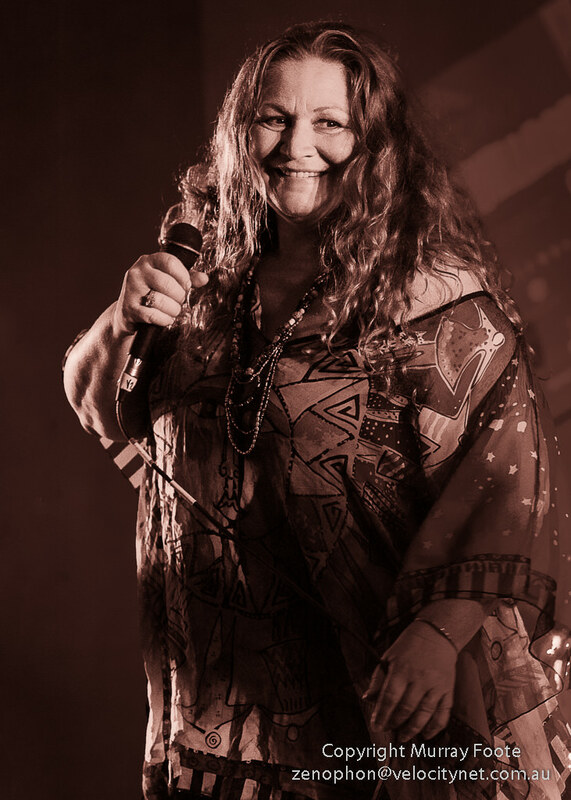 Gail Page is another regular at Thredbo, with a great voice that can keep on going if the power fails. 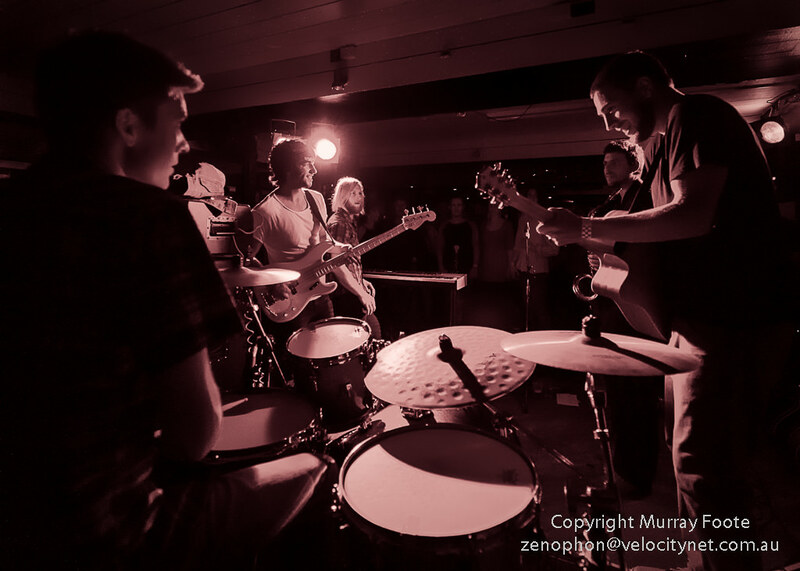 Gail always has great bands and her current lineup includes Adam Pringle (lead guitar), Rob Woolf (piano), James Haselwood (bass) and Declan Kelly (drums). Marco Goldsmith turned up this year with his new band, “an eclectic soul/blues band that is laced with a country/ bluegrass quirk”, including Kare Berg and Rod Hoe. Many years ago in Thredbo I saw him playing solo and in recent years he has usually turned up with his large swinging band Blue Heat, complete with an impressive brass ensemble. That’s compelling listening, so is the Marco Goldsmith Band. Matt Finish is a band that has been around for a long time, having formed in 1979. The band is somewhat changed, though, following the death of Matt Moffitt, one of the founders, in 2003. 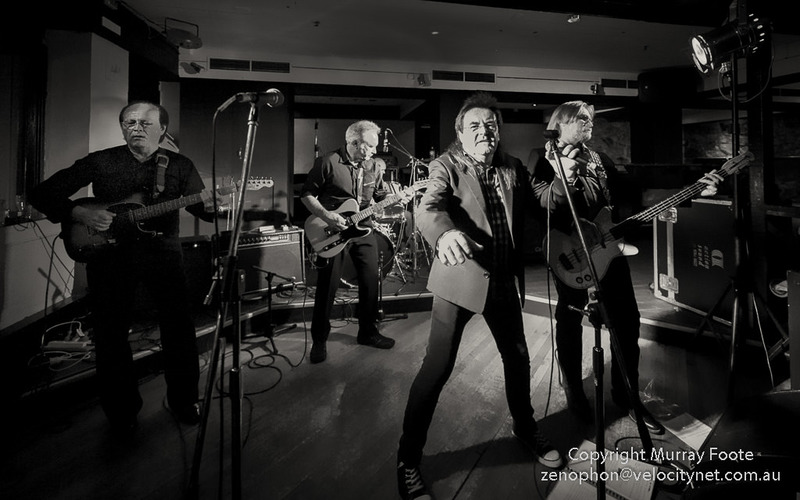 Their period of greatest success was probably in the early 80s, they are as much a Rock band as a Blues band and still well worth listening to. 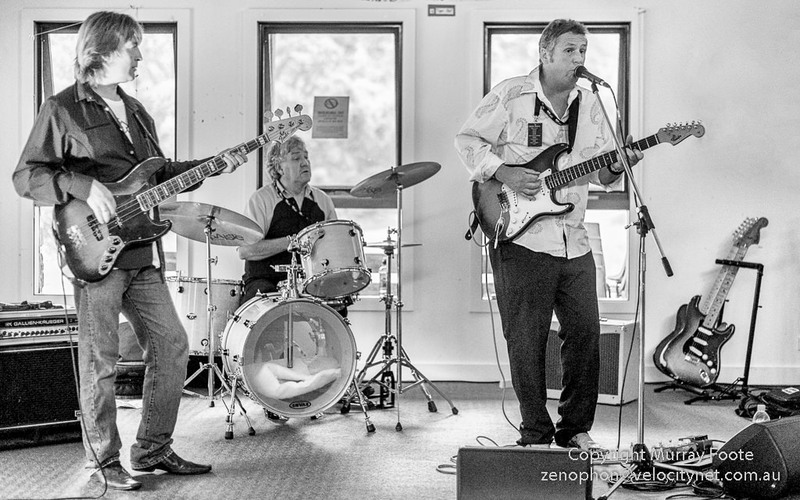 The lineup in Thredbo included John Prior, Elliott Weston, Nick Meredith and Peter Astley. 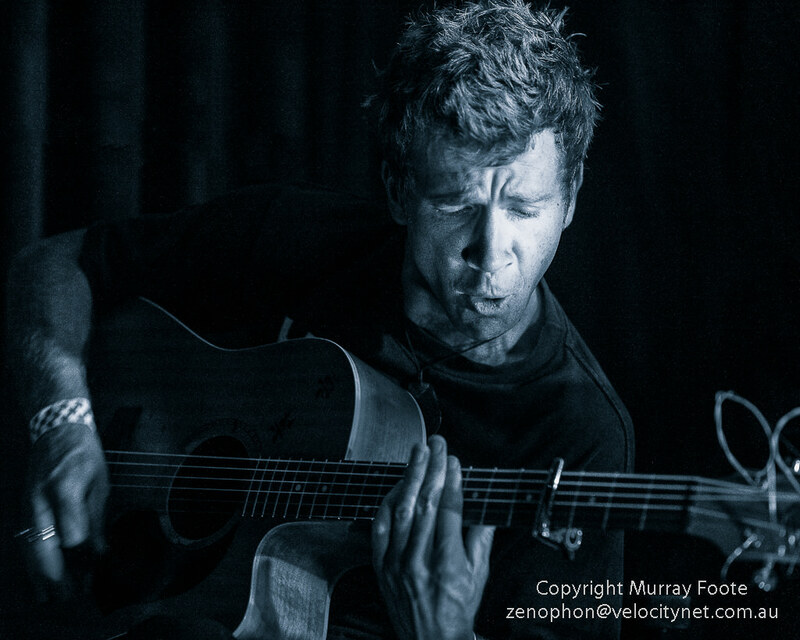 Owen Campbell is a slide guitarist and singer who “blends blues, roots, soul and country”. He originally hailed from Queanbeyan (near Canberra) but is now based elsewhere, probably in Sydney. He was playing with a drummer and a bass guitarist whose names I don’t know. Shannon Bourne brought his accomplished band to the Festival. Starting off a few years ago as a sidekick to Chris Wilson, he played here with Richard Tankard (Piano), Karl Willebrant (bass) and Adrian Violi (drums). Swamphouse – the name says it all really, with a sound that might as well come from the swamps of Louisiana. Nicholas Churkin on Drums, Gary Lothian on Lead guitar (also in Cyril B Bunter Band) and Mike Rix on bass. The Others are a band from Adelaide who formed in early 1963, so have been going as long as the Rolling Stones, an English band that you may have heard of. 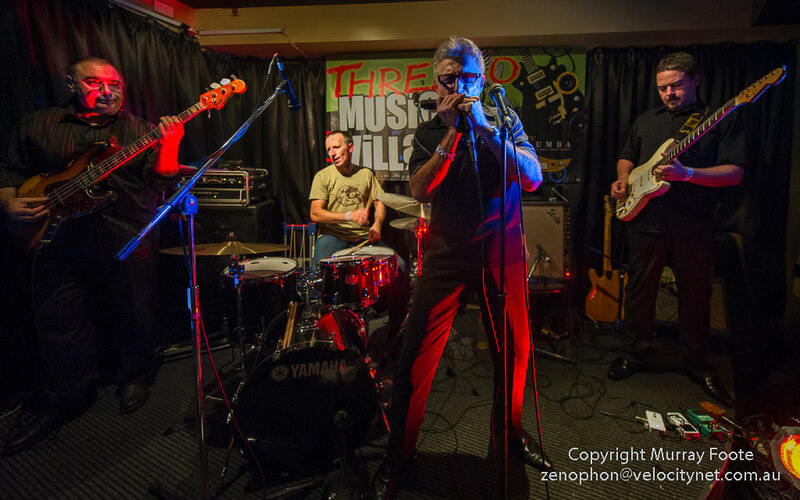 Somewhere between Blues, Rhythm & Blues and Rock, the Others include Ian Nancarrow (harmonica/ guitar/ vocals), Paul Reading (vocals), Jeff Gurr (bass), Ivan Korovljev (lead guitar) and George Abbott-Young (drums). Well worth checking out. 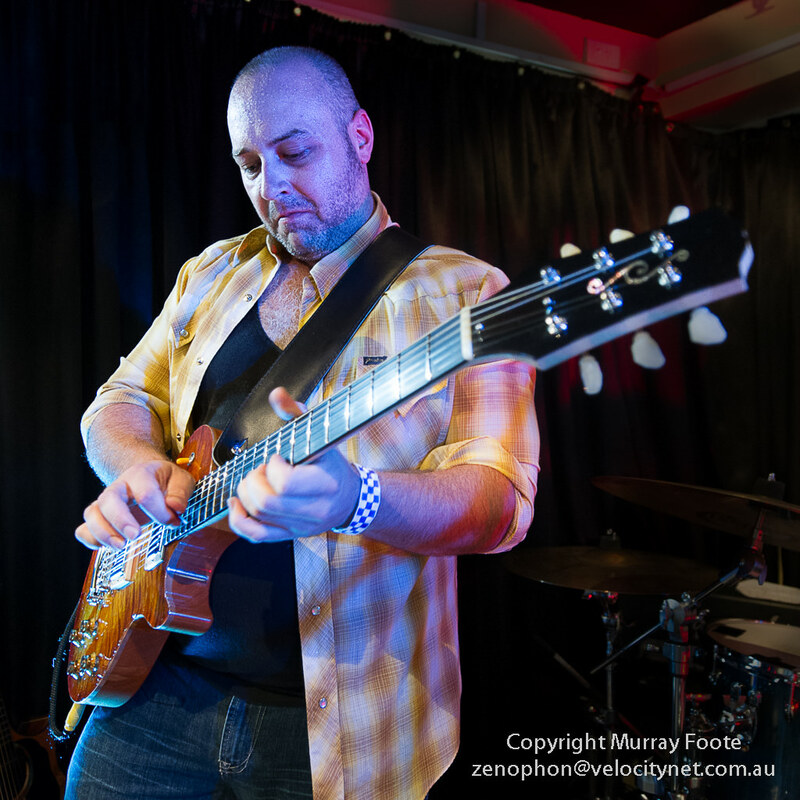 Tom Richardson’s Project is an energetic band of young Blues musicians from Victoria. Tom has received a whole spectrum of awards as an emerging young Blues musician. The band includes, Daniel Paroissien, Brenton Smith, Jacob Gellert and Matt Hewson. 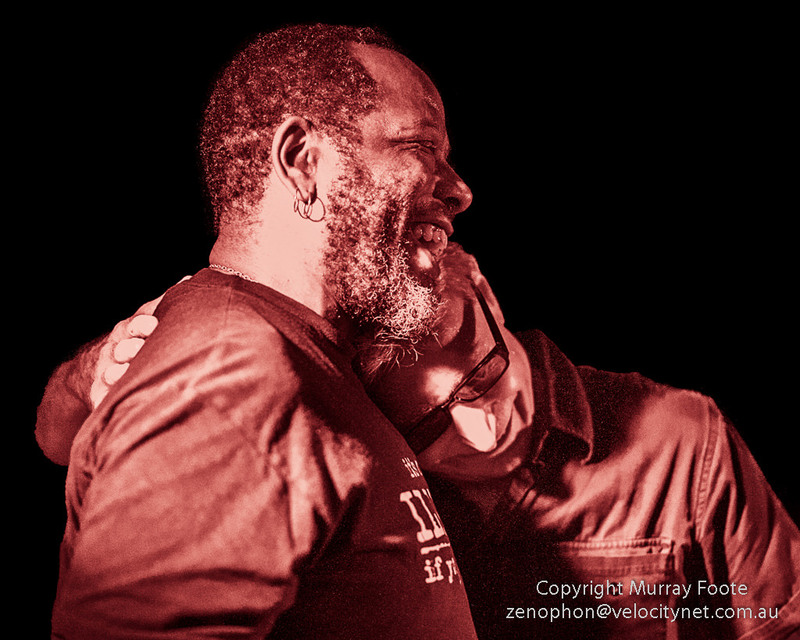 Finally, here is a shared moment with Pat Powell and Robert Susz during a performance of the Continental Blues Party. There are many more images. On the Thredbo Blues Festival Page you will find links to images from the 2013 Festival, as well the previous seven festivals . Links for 2013 include top 100 images, selected monochromes and one for each of the 20 bands. These include other bands not mentioned above including Blackwood Jack, Geneveive Chadwick, Jonno Zilber, Jules Boult & the Redeemers, Lisa Ohlback Band and Tangled Weed. Alternatively, there is also a direct overall link to all 2013 images in JAlbum (with overview images and images by band organised by folder). There are 270 images in all. For other images of a particular band I may have taken since 2006, see the Musicians and Bands Page. 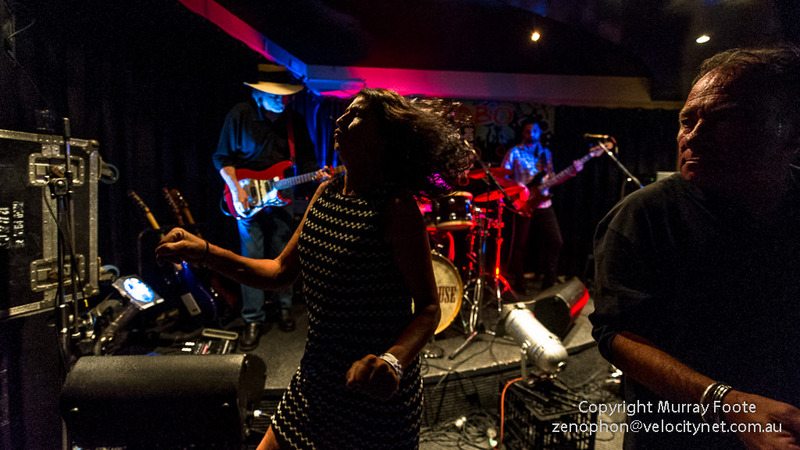 This entry was posted in Australia, Blues and tagged Australia, Blues, Blues Festivals, Live Music, Photography, Thredbo, Thredbo Blues Festival, Travel. Thanks for the great photos, Murray! Very easy to set up and no programming required. It took about 20 minutes to get it going although I had done some reading on the WordPress site first. After that the main drain of time is generating the images and writing….